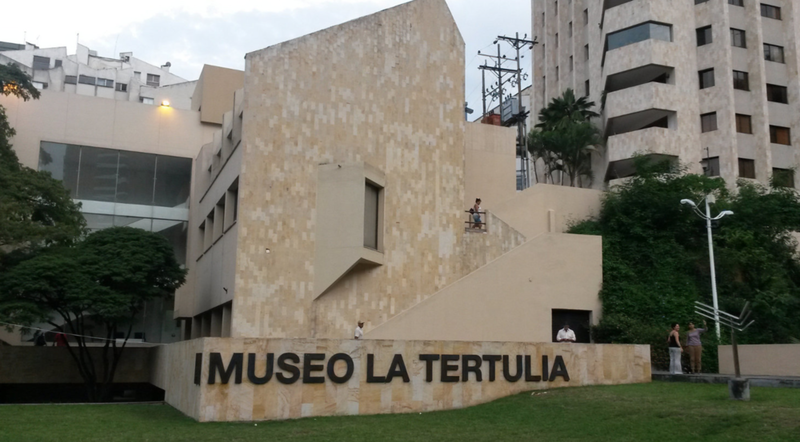 I'm in Cali, Colombia for the spring and while here I had the chance to visit one of the (only) spaces for contemporary art in Cali, the Museo La Tertulia. I've been to Cali a few times in the past three years and each time I learn more about the city and get a better feel for the cultural vibe. One thing that became more obvious to me during this trip is the way Cali lags behind Bogota and Medellin in the role art - visual, musical and theatrical - plays in the structure of the city. It's expected that Bogota would have much more to offer culturally by virtue of being the capital (and largest) city in Colombia, but I can't figure out why Medellin is such a model of social innovation and cultural growth, while similar-sized Cali is a city where art doesn't play a significant role for the majority of it's inhabitants. To be sure, having a less than robust exposure to so-called fine arts isn't a situation unique to Cali, nor is a population who generally have little interest in it. It's true of cities in every country, including many in the U.S. that would not have a strong cultural or artistic "infrastructure" like museums, theaters and orchestras were it not for post-industrial elites funding the institutions. A good example of this would be the hidden gems of (now)post-industrial Pittsburgh. Regardless of how large or small a city's cultural legacy, you'll find enclaves of contemporary art anywhere and in Cali it's at the Museo La Tertulia. It's a small museum consisting of three disconnected buildings, one of which is a cinema that hosts film festivals and art films from Latin America. The main building has three floors with curated exhibitions from their collection and new works by Colombian and Latin American artists. Of the four exhibits on view when I visited, I took a few photos and videos of two. The first was "Oido Pueblo! ", a multimedia exhibit with work influenced (or related to) a novel titled "Que Viva La Musica" by Andres Caicedo published 40 years a go and considered by some to be one of the best novels of Colombian literature in the 20th century. Perhaps my favorite part of the museum was this small section dedicated to the Grupo de Cali, a subversive underground film collective whose most prominent members were the directors Carlos Mayolo & Luis Ospina, who made several B&W 16mm mock-umentaries that were sardonic, cinema-verite critiques of the class struggles, economic disparty, and political oppression of 1970’s Colombia, and in particular the city of Cali. The small section for Grupo de Cali was located adjacent to the Pan-American Graphic Design display, and featured a lot of great behind the scenes still photos of the movies being made, as well as clips of the situationist-style dialectic film Aggarando Pueblo (The Vampires of Poverty). For a fantastic analysis of Ospina and his films, check out this article at Brooklyn Magazine. 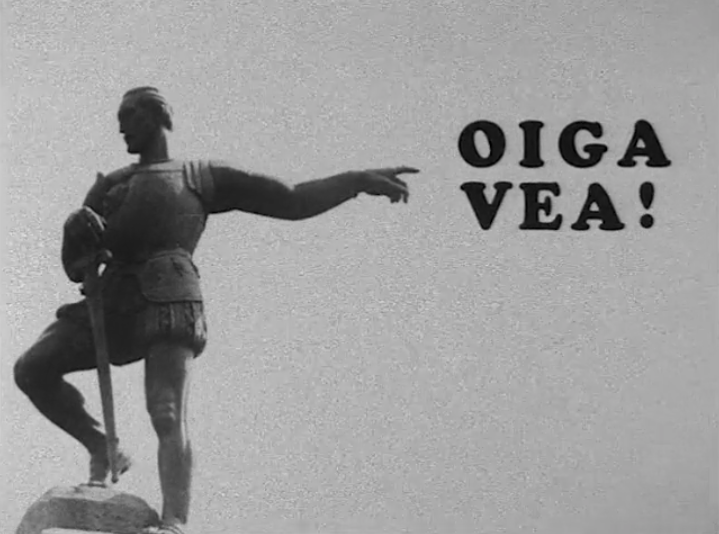 And watch the trailer below for some scenes from Aggarando Pueblo.